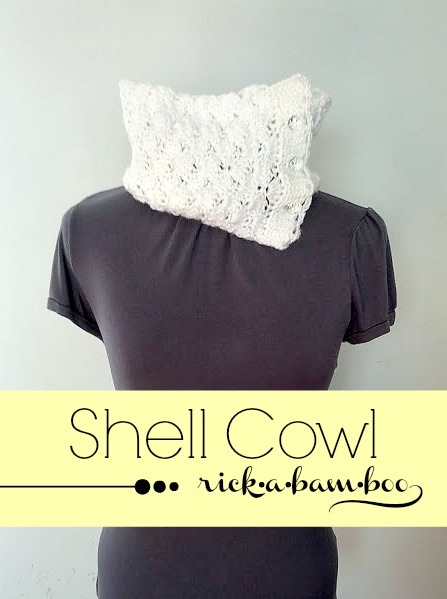 This week I am sharing this cute shell cowl from Alexis over at Persia Lou. I actually crochet this up a while ago. (Like almost 2 years ago.) But I’m just now getting around to sewing buttons on it so that I can wear it. Yay for finished projects right? 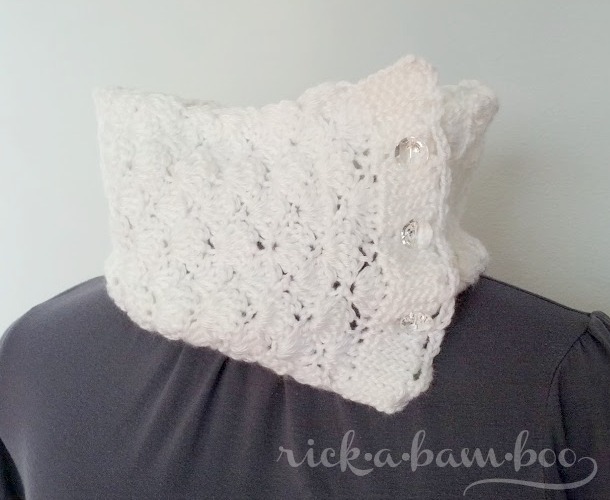 This worked up super fast and is a great project for an advanced beginner. 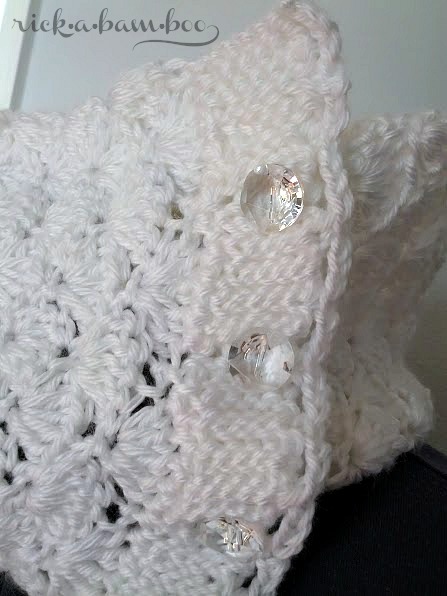 I used Caron’s Simply Soft in white. She used some cute covered buttons, but she said that any 3/4 inch button would do. So I just picked some clear ones up at Joann’s. I like how they add a little bit of bling. Very pretty! Good button choice too.